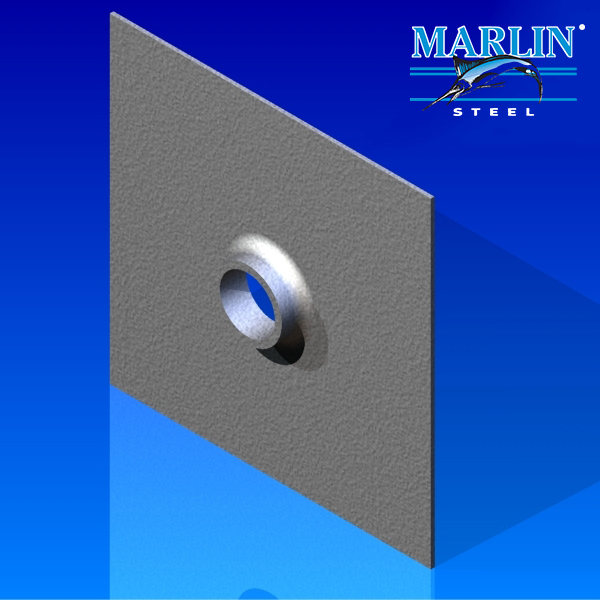 Marlin Steel has numerous robots used for metal fabrication, metal rolling and metal forming. Our Metal Hinges and Metal Mending Plates are manufactured with precision accuracy. We mig and arc and resistance spot weld sheet metal parts. Our design engineers create custom sheet metal products in stainless, galvanized, and plain steel. We make thousands of custom sheet metal components each week.